Blog UpCloud crowned best European cloud provider, again! Cloud Spectator is an industry leading infrastructure-as-a-service marketplace analyst. They perform highly detailed and in-depth comparisons to find the best European cloud provider on the market. 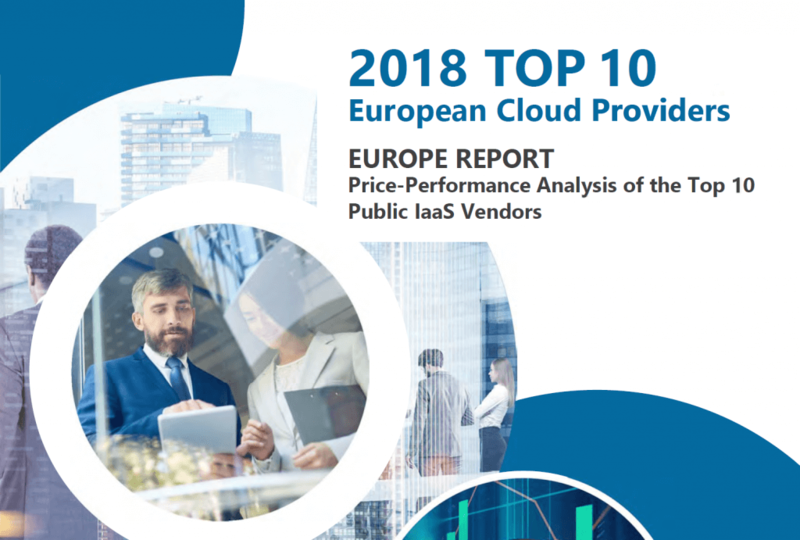 This year’s report on the cloud space in Europe saw highly competitive offerings across the board. Yet, there can only be one winner, UpCloud! The study included 10 cloud providers who offer cloud services in Europe. However, the provider headquarters did not need to be located within the region. The relaxed requirements welcomed large providers such as Amazon AWS, Google Compute Engine, Microsoft Azure, and IBM SoftLayer to participate. UpCloud displayed the highest CPU and Memory performance overall, but also displayed the most variability [at 8%] for CPU and Memory. Refreshingly, newer providers are striving for ever greater performance. Those with the traditional size advantage in the market were consistently left stagnating in the price to performance ratios. The competition was tougher than ever before but UpCloud came out as the best European cloud provider. 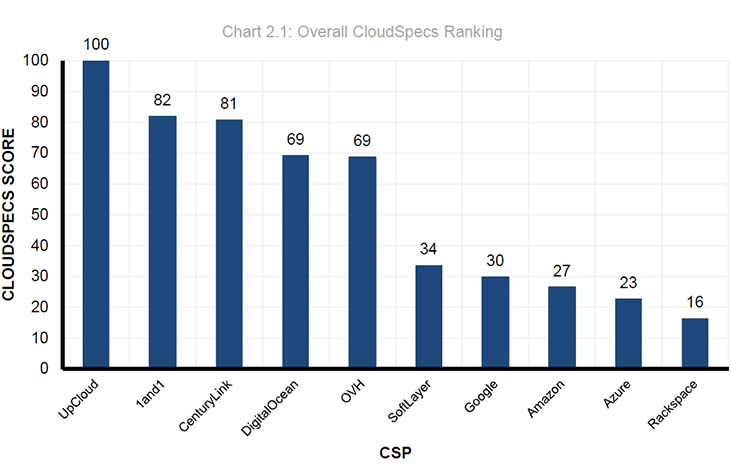 This is the second time UpCloud has been included in the Cloud Spectator yearly report on EU providers and also the second time to take the top spot. UpCloud dominated in the overall value comparisons out-ranking the last in the top 10 by 6.3x. 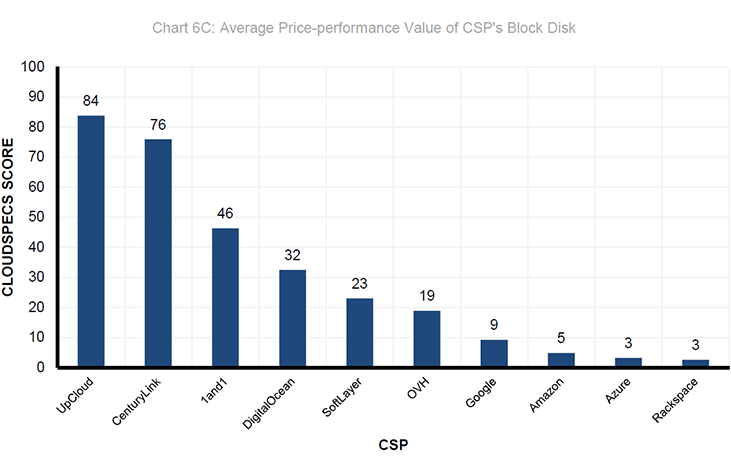 Furthermore, UpCloud’s MaxIOPS technology showed the advantages of fast storage in the value of the block storage segment by an even larger margin. It’s also important to note that the comparisons were performed using UpCloud’s custom freely scalable configuration. The UpCloud’s signature custom scaling allows a cloud server to be configured anywhere between 1 – 20 CPU cores and 1 GB – 128 GB of system memory as well as up to 2 TB of MaxIOPS storage per disk device. Taking advantage of the company’s preconfigured plans further improves the price to performance ratio with competitive monthly costs. UpCloud Ltd is a European cloud hosting company offering the world’s fastest cloud servers on an hourly billed infrastructure-as-a-service for the most business-critical customers and used by organizations such as the Finnish Ministry of Justice as well as renowned growth companies like Cabforce and LeadDesk. Currently, the company provides services from data centres based in the UK, USA, Germany, Netherlands, Singapore and Finland. It’s true that our focus on pushing unthrottled performance does create some variability. However, even the lower end this variation is still above and beyond that which the majority of our competition is capable of.